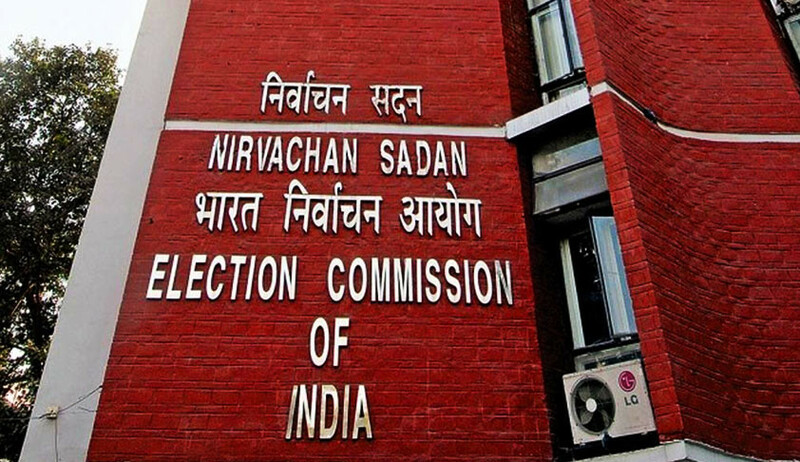 Acting on the recommendation of the Election Commission of India, the President of India has cancelled election in Vellore-8 constituency in Tamil Nadu, which was scheduled to take place tomorrow. "The Hon'ble President, accepting the recommendation of the Election Commission of India, made in this regard, is pleased to partially rescind Notification No.1389(E) dt.19th March 2019 in so far as it relates to calling upon the said 8-Vellore Parliamentary Constituency in Tamil Nadu to elect a member to the Lok Sabha", the Election Commission said in a press release. This is following the alleged recovery of Rs.11.48 crores by the Income Tax Department from the residence of a relative of DMK candidate DM Kathir Anand, which was found along with loose sheets containing booth wise details of voters. Documents relating to Kingston Engineering College run by the family of the candidate were also allegedly found along with the cash. The IT Department had claimed to have detected shifting out huge stacks of cash from the Engineering College earlier. "The fact that the claimant does not have any explained source of income and that the documents found with the cash pertain to an institution run by the family of the DMK candidate lays bare the nexus between the candidate and the sums so found", observed the ECI on this development. The Special Expenditure Officer filed a report to the Chief Electoral Officer stating that the searches "unearthed a systematic design to influence voters through inducements and that such activities come under the ambit of "corrupt practices" as per Section 123 of the RP Act, 1951". The Officer also expressed that the situation was not "conducive for the conduct of free and fair elections". Based on these factors, the ECI recommended to the President on April 14 to cancel the elections, exercising its powers under Article 324 of the Constitution of India read with Section 21 of the General Clauses Act, to rescind the elections to Vellore Constituency. The poll panel observed that conducting elections as per schedule "in such a vitiated atmosphere would have severely jeopardised the conduct of free and fair election in the said 8-Vellore Parliamentary Constituency". This is the first time that Lok Sabha polls to a constituency have been cancelled over alleged use of cash for bribing voters. The DMK has called it a "murder of democracy" and told NDTV that they will challenge the decision to cancel polls.